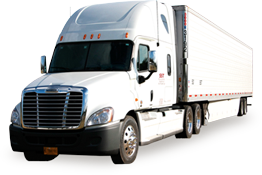 Research moving companies that provide Local moving service. Make sure that they are licensed, fully insured and bonded. Some forwarders are just brokers, and this is something that you should try to avoid. Make sure that the company has their own equipment and movers, and that they are not subcontracting your job. Compare prices, and find one that fits your needs and your budget. Consider a small airfreight shipment of essential items that you would like to be there on your arrival. Apply for visa(s) and working permit(s), if applicable. Make sure your passports are valid and have at least 12 months remaining before they expire. Is your company relocating you for work? If so you should verify what expenses and responsibilities are theirs and which are yours. Call Movage Moving and set an appointment for one of our relocation coordinator to perform a visually survey of your home/apt and prepare a moving quote. Make sure you consider the pick-up time frame and delivery details in your planning (date, location, and budget). Cancel insurance policies, and check if you can get any money back for the period after the cancellation. Order contact lenses or spare glasses. Make a list of things to take, to leave behind and to buy. Find out whether your current bank has an overseas branch and if it can handle your future needs. Sell things that you don’t need or can’t take with you. Take out advertisements for things to sell, have a garage sale, and donate things to charity. Schedule cancellation of services for all utilities: phone, electricity, water, cable/satellite, gas, etc. Discuss your insurance needs with your relocation coordinator and complete your insurance valuation form. Contact your relocation coordinator to confirm the moving date, as well as to notify your mover of any last minute details or changes. Internal combustion engines or small outdoor equipment must be drained of all fluids (gasoline, diesel and/or motor oil) prior to loading.